How about this for a sign of the times - kids boxing parties! We didn’t set out to offer them, but after being asked to host a few, and having done so successfully, they’ve become a real thing here at Total Boxer®. 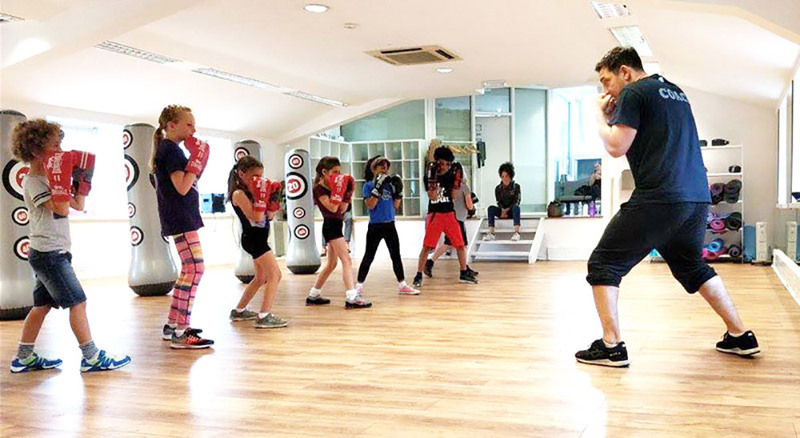 What we do is guide the boxlings through our famous non-contact, totally safe, Get FIT Not HIT® classes and adjust them according to their ages, in the same way we do with our Juniors (6-11 year olds) and Youth (12-16 year olds). The difference is we make the sessions a little lighter and more fun (we’re fun anyway, but you know, party fun), and you can bring cake for after class. If you just wanted to use our club as a unique party venue, that’s possible too. You are welcome to bring your own entertainment and use our kitchen and toilet facilities, as well as tables and chairs if needed. Catering is not provided but food can be brought in or ordered from local restaurants with discounts available at some of our local favourites, including 20% off food at Monkey Nuts in Crouch End. Or, leave it all to our professional coaches. They’ll put the little ones through their paces with fun fitness activities they’ll find exciting and probably quite exhausting, too! Good news all round, right? To discuss a party for your little ones call us on 0333 1234506, say hello@totalboxer.com or complete the form, below. 45 to 60 minutes usually. It is a requirement that all Total Boxer® coaches are qualified to teach boxing, administer first aid, criminal record checked and certified under the UK Safeguarding initiative.